The following is a guest post from Michael Peggs. Peggs is the founder of Marccx Media, a digital marketing agency specializing in Search Engine Optimization (SEO) and Search Engine Marketing (SEM). 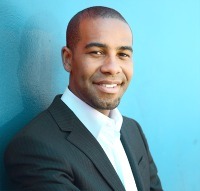 Before Marcxx, Peggs worked at Google in business development, forming digital media and advertising partnerships in the United States and Asia. He is also a contributor to The Huffington Post, FastCompany and Business Insider as well as and podcaster, hosting the iTunes Top 10 New & Noteworthy Podcast You University. You can connect with Michael (@MichaelPeggs) on Twitter. Generating traffic to your website requires going beyond the page, so to speak. It’s great that you used proper H1 headers, implemented powerful keywords, and sprinkled in a few internal links. But if you want to take your brand’s exposure up a notch, you must focus on building an effective off-page SEO strategy. If done correctly, your website will start earning backlinks on its own, improving your search engine rank and overall SEO. Plus, I think we would all like to work smarter instead of harder, right? Here are 3 link-building strategies to get you started. Content production can be categorized as both on-page and off-page SEO. Yes, the content lives on your website but great content can attract the attention of others who might share it on social media, email it to their friends or, best yet, link to it. In other words, if you are an authority on a topic and produce high quality content regularly, others will want to share your content organically. Which content types receive the most attention? Obviously items like viral videos or viral articles will do the trick, but infographics and other forms of visual content are also a great way to stimulate sharing. A recent study found that infographics are shared 3x more often than any other visual item. 2. Ask fellow bloggers for links. You have to treat this with tact, but try asking a fellow blogger who’s in your niche (not a direct competitor) if they wouldn’t mind linking to your content on their blog. A good time to try this is when someone references you or your work, but fails to include a link back to it. You can use free tools like Google Alerts or a paid option like Mention to monitor your brand, business or person. If you notice a mention without a link, just politely email the writer and provide some adulation for mentioning you, then ask if they’d mind adding a backlink to your site. The key is an earnest ask. If you’re genuine and your goal is more than a one-time link, bloggers will be happy to oblige. In truth, it’s about building a mutually beneficial relationship so consider what you might offer first. 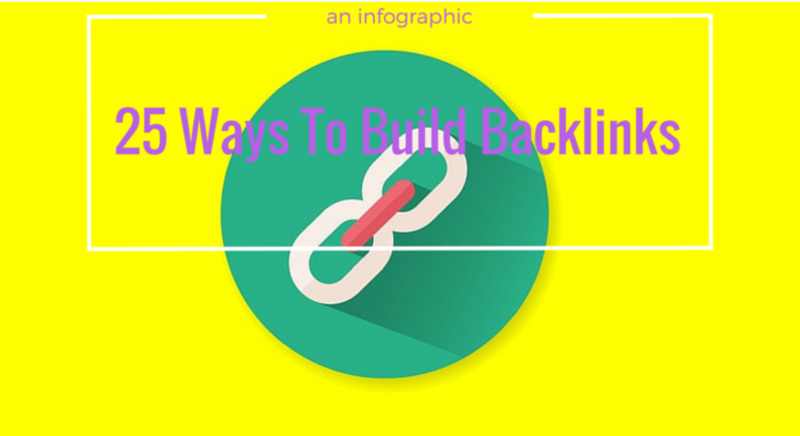 Maybe you would like to contribute an article or you notice a broken link, but consider what you might give in order to get a backlink. 3. Optimize your social media presence. On the bright side, there are 2.3 billion active social media users waiting to hear about your brand. On the flip side, 2.3 billion means there is a lot of noise you’ll need to break through first. To optimize your social media presence you’ll have to a) have an account on two or more platforms, and b) engage with your targeted customers on a consistent basis. If you’re on Twitter, be sure to ‘favorite’ and ‘reply’ to posts related to your niche. Offer solutions to users’ questions and always provide links to your own content in your bio section. Yes, a lot of social media sites have a ‘nofollow’ tag, making it impossible to accrue SEO assistance from links. However, it’s still important to use these channels in the hopes that users will start following you organically. Plus, if you post links to your content on social media, they still count as an external source of traffic if users click on them. The key is to prove to the social media world that you’re an authority figure; this will make users spread the word about you on their own. Stay active and helpful. Seeking links for off-page SEO requires you to leave your comfort zone and reach out to others across the online community. This can be daunting since we all fear rejection. The key when link building is to remain patient and open minded. Don’t expect others to start linking your content right away. Ask questions, study brands in your niche, and be persistent.